Please fax or email your resume. Dates needing to cover are: March 18th, 20th, 21st, 27nd, 28th and April 1st, 2nd, 3rd, 4th, 10th, 11th, 15th, 17th, 18th. Dr.Timothy Barnes & Dr.Dennis Miller D.D.S. 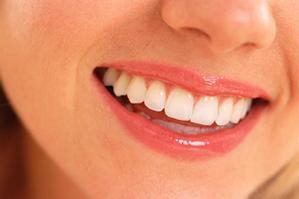 We are looking for a hygienist for Thursdays and Fridays in a busy office in Mariposa,CA. PRACTICE CLOSING - DENTAL EQUIPMENT FOR SALE / 3 Fully Equipped Dental chairs, 2 X-ray units, side dentist and assistant chairs also available. Call Leslie for pictures, pricing and more details. 559-300-8155 or 209-723-5448. Associate DENTIST for a growing family practice. If you would like to treat patients in a practice that emphasizes high quality dentistry and patient education you may be the person we are looking for. We are looking for a Part-Time or Full-time Associate to join our team of professionals. Please contact Adrianne at adrianne@elportaldentalgroup.com, phone 209-385-1479 or fax 209-723-7087. CLICK ON THE CRAIGSLIST LINK TO SEE PHOTOS OF THE CHAIR - ANY QUESTONS OR INQUIRIES, CONTACT THE OFFICE MANAGER AT 209-723-0767. If you are a member dentist with the Yosemite Dental Society and would like to post a job on our website, please contact us by phone (209)722-3576 or email to ydsmerced@yahoo.com.